Corentin fits excellently into a classic ambience with a romantic character. 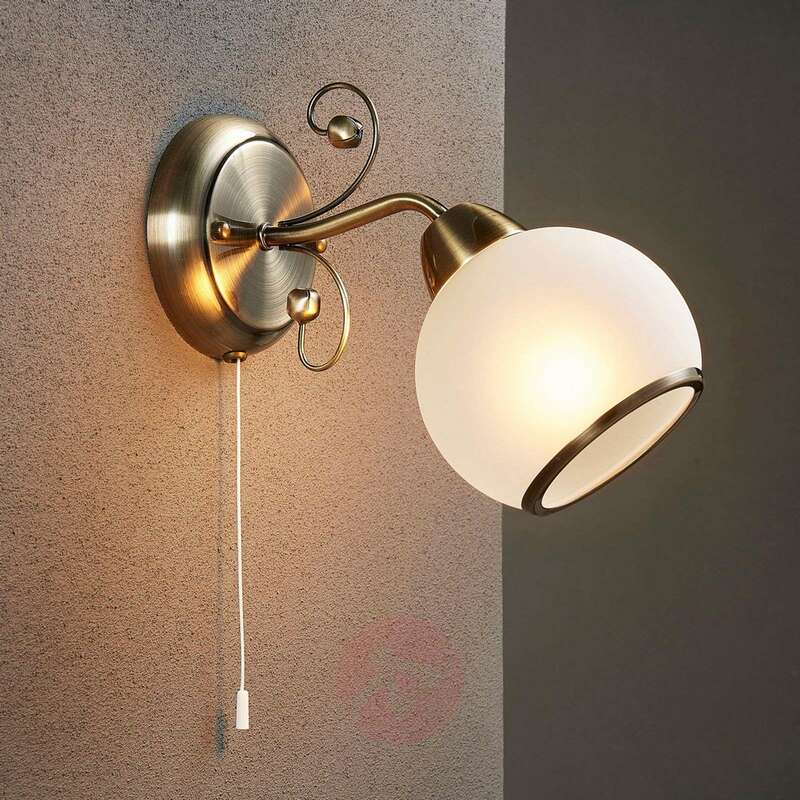 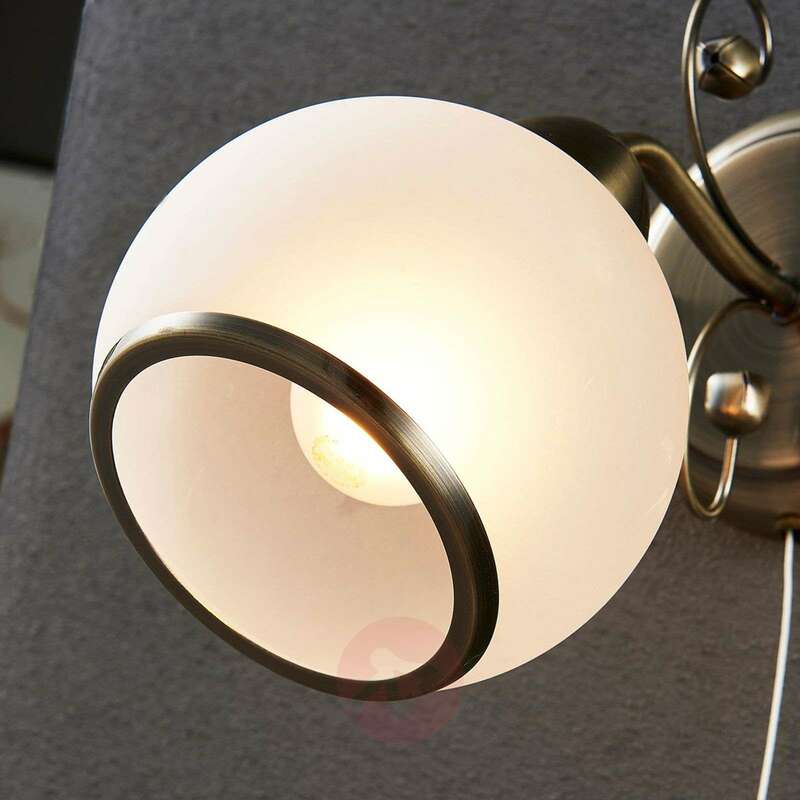 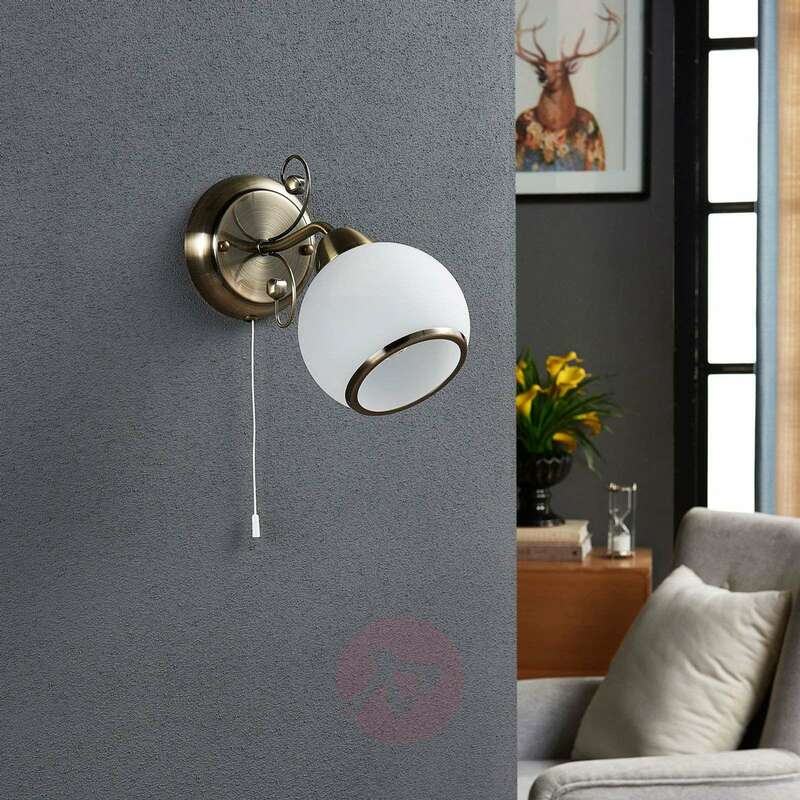 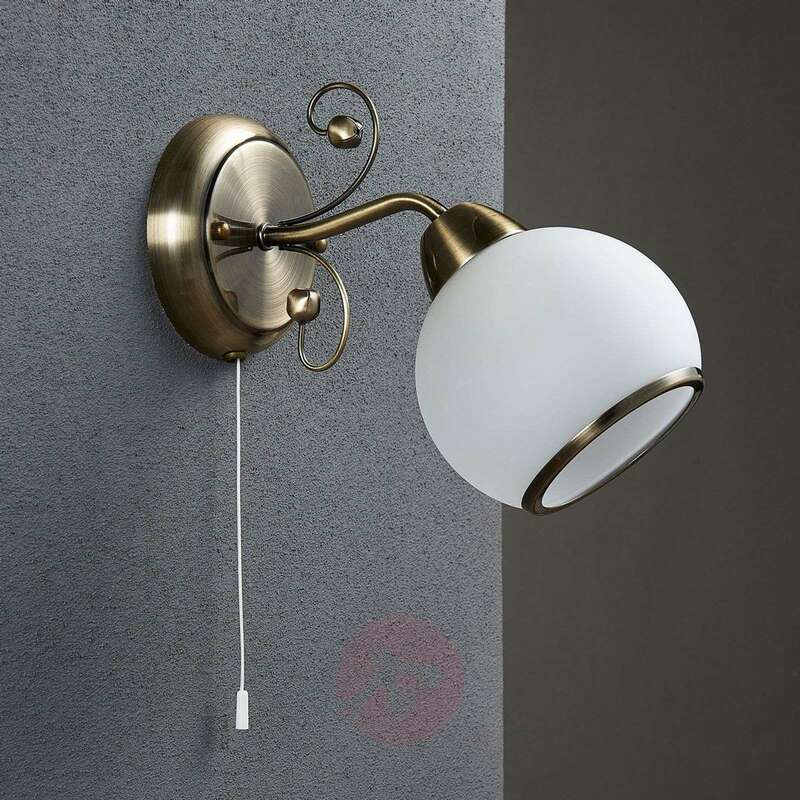 The wall lamp has an almost spherical lampshade made from satin glass, which ensures that the light is particularly even. 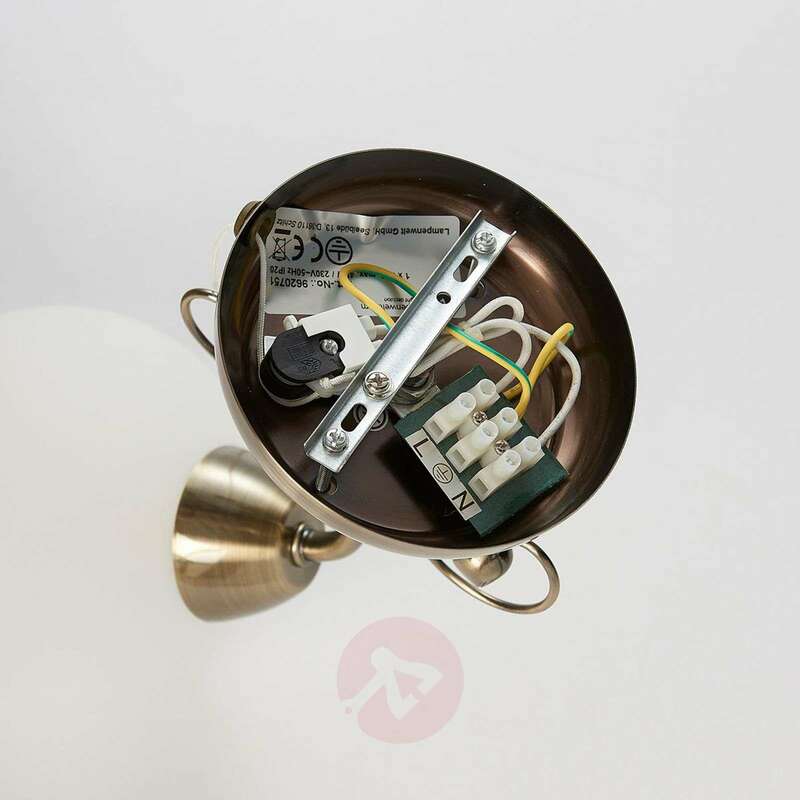 Behind the lampshade are the frame and the wall mount, both of which are made from metal and designed in an antique brass colour. 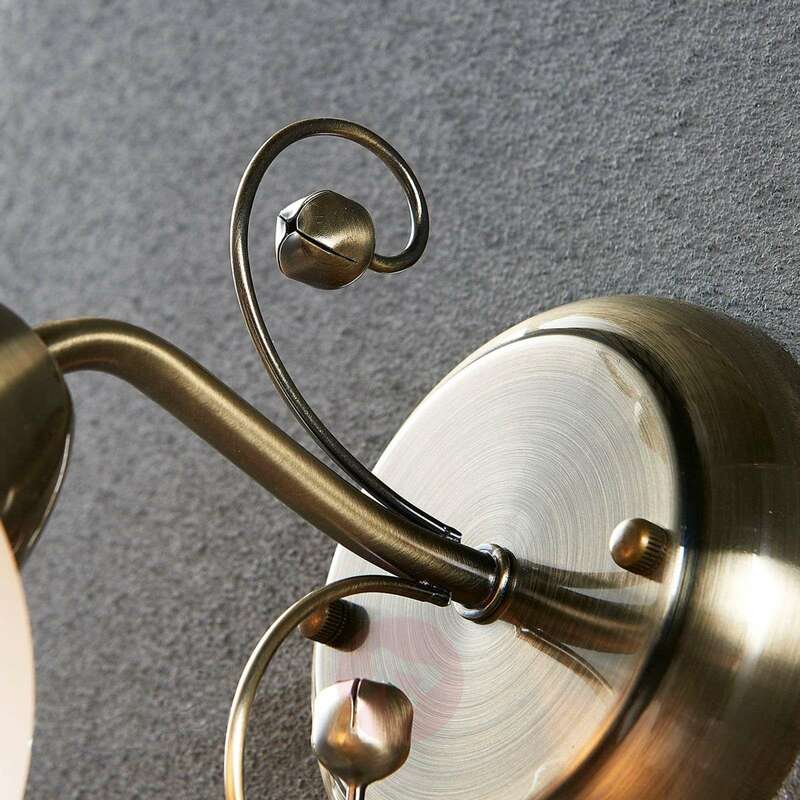 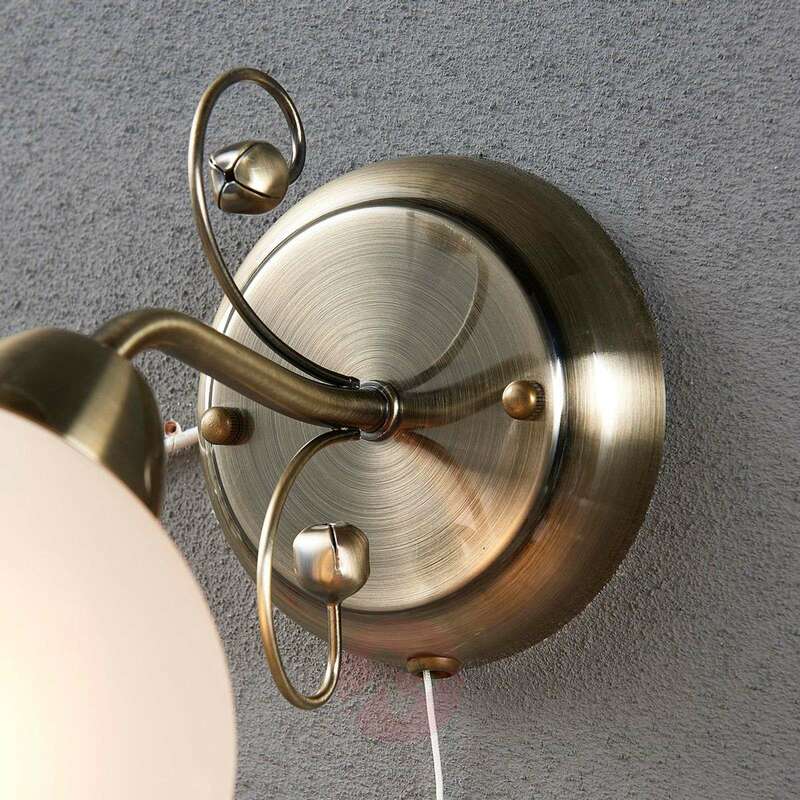 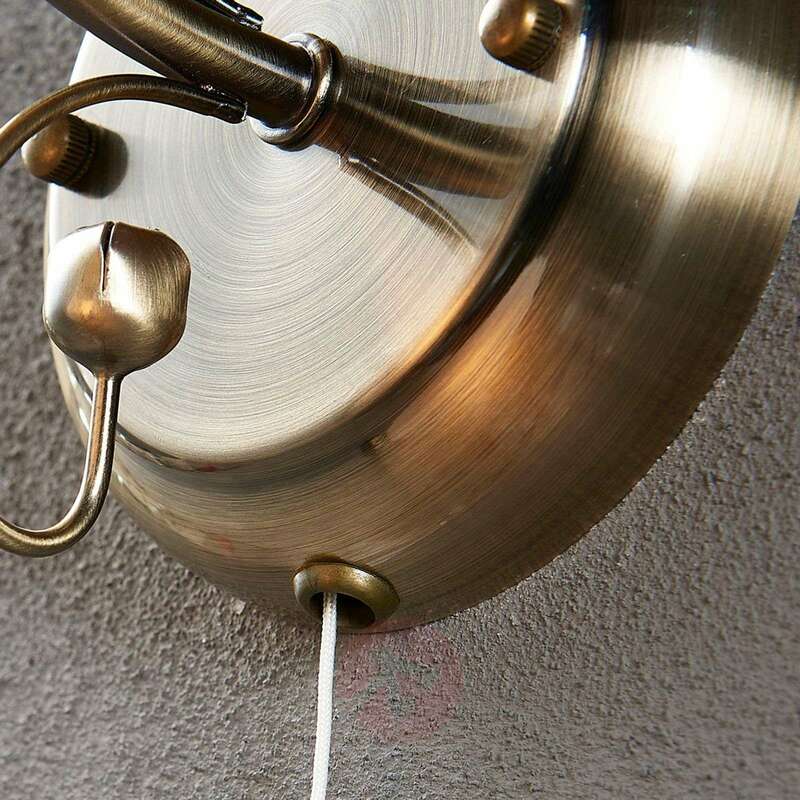 An exclusive highlight is the artistic metal tendrils and the integrated pull switch which provides more comfort in the operation of the wall lamp.